Yes very true, B2B & B2c copywriting & marketing is just the same because your writing to sell. Both for business & consumers. But thanks for sharing on how to write for consumers, making it different on the other is very effective. I disagree that a flat statement like that can be made because one is direct selling and the other is indirect. The approach, language and message is totally different copy. 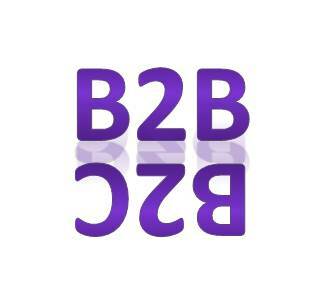 B2B has to be written in stages, according to the phase of buying the potential client is in and it must be educational, whereas B2C – no stages just sell… now. Thanks Alia, but B2C should also be about education. Few people are going to buy something just because you tell them too. Today’s consumer is very savvy, they want information, they want proof and they want to know they can trust you before they buy. In the case of B2B and B2C you’re selling to a person – both approaches should be the same with the language tailored to the specific market you’re addressing. Interesting points, but my good friend Bob Bly — who’s been writing both B2C and B2B since the early 1980s and who’s written several books on both — passionately and often disagrees. While it’s true that it’s people inside the companies that make the purchases, and true that they — like consumer prospects — are pressed for time and have budget limits, what you’re selling is often very different from a consumer-type product, sometimes very technical in nature, and requires a lot more feature-oriented selling that you’d use in a B2C pitch. He gives other reasons, which you can probably find on his bly.com website.